Our JVK Vivarium includes a Habitat reptile radiator for ambient temperature also an (under cover) floor heat mat. The Viv is illuminated with a white python LED light and powered buy a habitat digital thermostat. 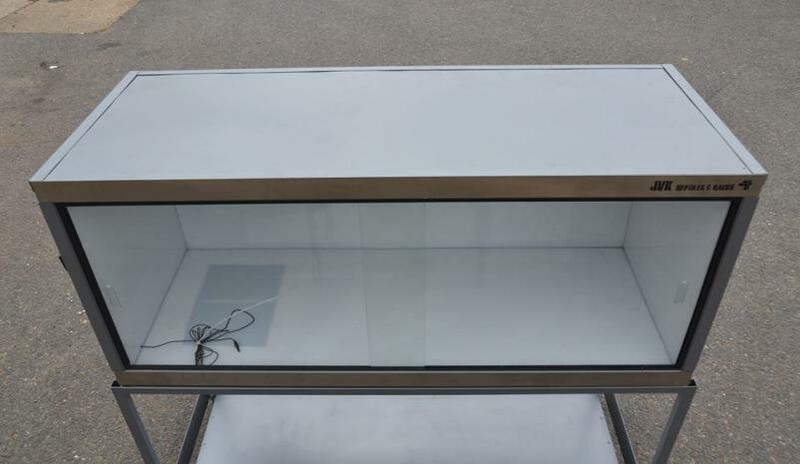 The standard viv is 4ft x 2ft x 2ft but we can make custom viv’s up to 8ft long or greater. (Please enquire if interested) perfect for big snakes. 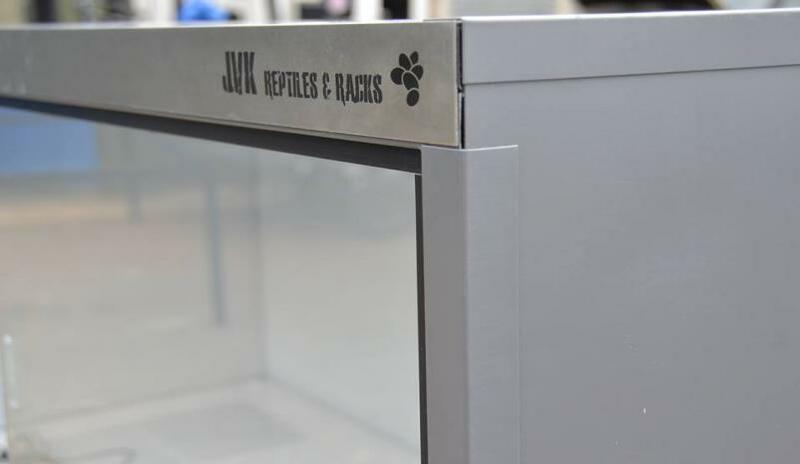 The viv comes with sliding glass doors as well as a stainless steel trim with a powder-coated finish of your choice. The incubator has our fully loaded plastic lined surface that is more then easy to clean, and does not level marks or mold. 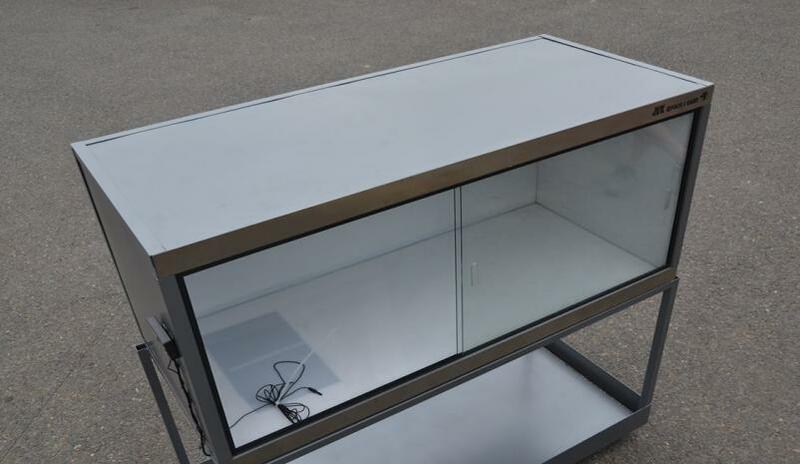 It is very efficient compared to wooden or glass vivarium’s. These Viv’s have a rubber foot that allows you to stack the viv’s into a racking system if needed.